I was contacted by Fremantle Press, a publisher in Western Australia. 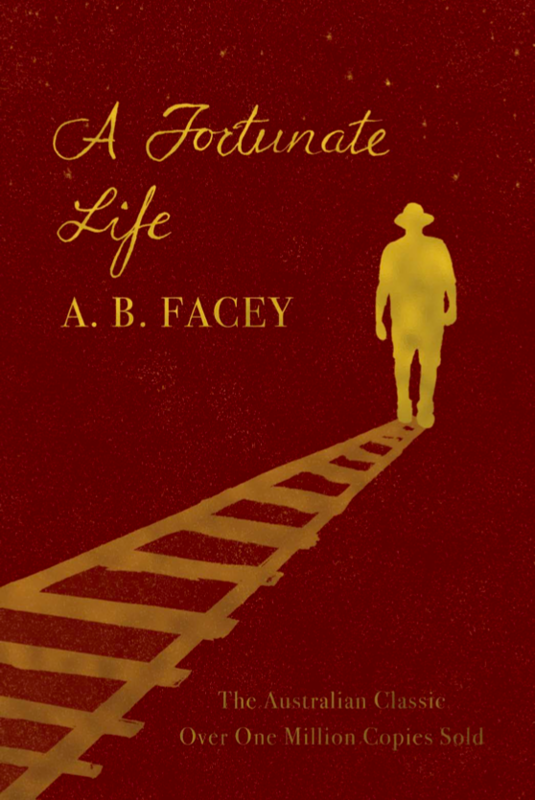 They had just regained the rights to one of their original titles, A Fortunate Life by AB Facey. This is an Australian classic, and with its return to Fremantle Press they decided to create three new editions of it, all with different target markets. The first was to fit into their Australian Classics series, the second was an abridged version for children, and the third was the trade/adult edition for general readership. I was commissioned to create artwork for the third one. Perhaps Australia's best known memoir, A Fortunate Life tells the story of Albert from his childhood in the Australian outback to his survival of Gallipoli. Growing up where and when he did, Albert did not receive the kind of education we do today, in fact he didn't learn to read and write until later in his life. Instead, he learned the means of survival in a harsh environment, working as a labourer and farmer on the Australian frontier, enduring extreme hardships and making some unlikely friends. A Fortunate Life was first published in 1981 and is one of Australia's best selling books of all time. The existing editions used imagery and colours indicative of the Australian outback, and Georgia wanted this one to do something different. The pieces from my portfolio she particularly liked were my reimaginings of classics and my design for The Luminaries. It was this cover that we ended up referencing for the colours and textures. I started out with sketches and the first image I considered was a snake with lots of images inside representing his journey. When I sent this through Georgia said they liked it, but that because snakes are often used as a symbol of Aboriginal culture it wasn't going to be appropriate for this book. The next approach was to look at some other images from the book. The things we brainstormed included hay bales, pens/writing, train tracks, boots and a travel sack. Train tracks made for an interesting visual, so I tried having them as being drawn with a pen. This was closer what they wanted, but not quite, so we replaced the pen with the figure walking into the distance. For the typography I wanted to create some lettering that represented his literacy as it was such a big part of the book. I opted to mimic a handwritten style, and looked to samples of Facey's own handwriting for inspiration. The result is lettering that looks like it could have been written with a fountain pen. We tried a version in this garnet colour too, which looked really rich and beautiful, but not quite mysterious enough.